Vacation is so much more then getting on a plane and going somewhere. It's a mindset. It's in your spirit. You have to live it. 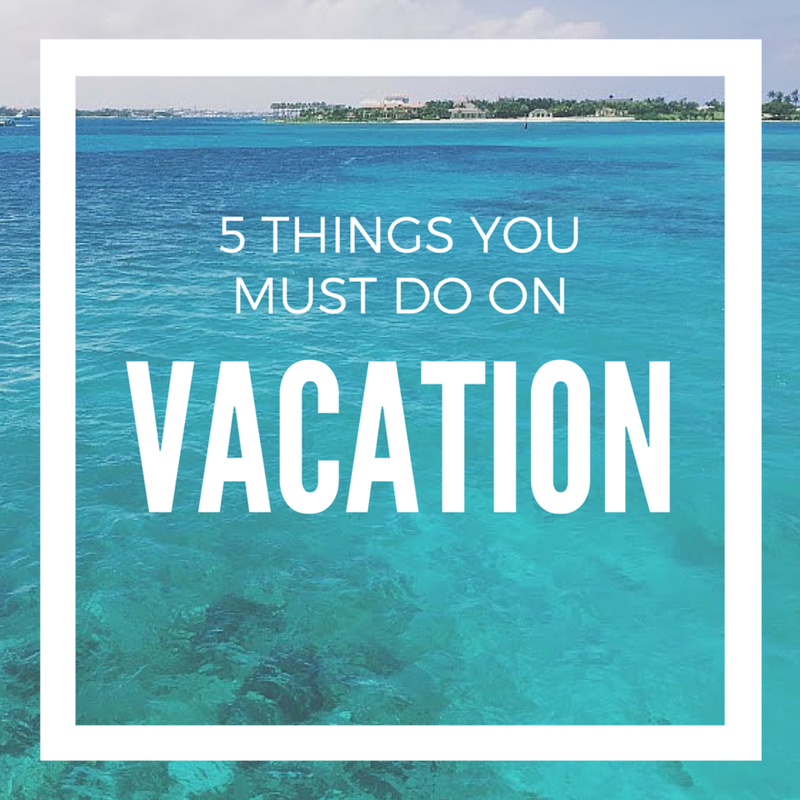 Aside from accommodations, what to do, and where to eat, it's important to know these 5 things you must do on vacation. Every. Single. Trip. Only enjoy the presence of others. If you didn't take a solo trip, chances you're with someone you love, friends, or family. Don't bicker, don't hold grudges (I am so guilty), and let things go before they ruin your trip. De-stress from school and work. As far as your co-workers are concerned you are without cell service and access to email, even if you aren't. Take advantage of this time to answer to nobody except yourself. Never sweat the small stuff I'm not kidding when I tell you I witnessed a married couple almost divorce on the spot over a beach chair...on Valentine's Day. I eventually gave up my chair for them in hopes of saving their vacation and possibly their marriage 😎. Don't be them. I'm a Type A so I understand it's hard to let go of the things we can't control. Just remember, whatever you do, don't be that couple. Be present If you take anything from this post let it be this. I beg of you, put the phone down and shut the laptop. I cringe when I see families or couples at dinner in vacation spots and everyone has eyes glued to the screen. I am absolutely without a doubt addicted to my phone, but with the exception of snapping photos and 1 or 2 reflective posts a day, I keep the phone usage to a minimum. Someone needs to conduct a study that correlates phone usage with unmemorable trips, cause it is SO real. Enjoy each moment, you'll never get them back.